While Paul stressed that this is a contest between “two ideologies,” it boils down to either a nation under the U.S. Constitution or taking the course of all previously civilized nations — to a form of graduated socialism which almost always ends in some form of totalitarianism. Right this moment America stands at the bottom of a stored-up ocean of debt that encompasses the next hundred years. Leading to a nation without liberty and freedom, America will become a gigantic, tax and spend, socialist government. “We the people” sense that Ron Paul is right in so many ways about America. Ultra-strong on his economic sense, he understands what the majority of Congress, the President’s administration and the people fail to comprehend. He knows in his heart that America must look to her own survival as a matter of course instead of following our present road to Hell. Ron Paul opposes both the Republican and Democratic proposals to renew the telecom surveillance bill. Following is his speech before the US House of Representatives, Friday, March 14, 2008. I rise in opposition to this latest attempt to undermine our personal liberties and violate the Fourth Amendment of the Constitution. This bill will allow the federal government to engage in the bulk collection of American citizens’ communications. In effect, it means that any American may have his electronic communications monitored without a search warrant. something that is available to the general public. As such, the mainstream includes all popular culture, typically disseminated by mass media. Mass media is a term used to denote a section of the media specifically envisioned and designed to reach a very large audience such as the population of a nation state. Toward the end of the 20th century, the advent of the World Wide Web marked the first era in which any individual could have a means of exposure on a scale comparable to that of mass media. For the first time, anyone with a web site can address a global audience. The invention of the Internet has also allowed breaking news stories to reach around the globe within minutes. This rapid growth of instantaneous, decentralized communication is often deemed likely to change mass media and its relationship to society. The internet is quickly becoming the center of mass media. The Fox News Channel has been the subject of several controversies. Critics of the channel accuse it of political bias towards the right. The network has denied such allegations. There have been many accusations of bias, as well as some studies that support such accusations. In politics, right-wing, the political right, and the right are terms used in the spectrum of left-right politics, and much like the opposite appellation of left-wing, it has a broad variety of definitions. Ron Paul is on the “right”, so why doesn’t Fox News like Ron Paul? He’s not their kind of right. Ron Paul is a constitutional-conservative-libertarian. Rupert Murdoch, and the people who control the media, are neo-cons (a political philosophy that is actually leftist, but pretends to be on the right). Right-libertarianism, more commonly called Libertarian conservatism, describes certain political ideologies with views between libertarianism and right-wing conservatism, such as limited government and capitalism. Notice, you won’t find this kind of dedication attributed to any other presidential ‘candidates’. Dr. Paul is more than a candidate, he’s a hero and legend in the making. A historical event has come your way. You have the opportunity to demonstrate your [peaceful] rage against the machine. If you can’t get to Washington DC, march in your own city. This will be a nationwide event. The world will be watching. This will be a peaceful event. Any attempt to stir a riot or violence will not be tolerated, as as this will compromise the revolution and threatens its participants. The Military Commissions Act (2006) allows the government to use violent resistance against a riot. Protesters could be seriously injured or even killed by rubber bullets and other suppressive weapons. In the name of war-on-terror, people detained may receive no trial, no habeas corpus, and could even be taken overseas to secret prisons. The solar system is warming. But it is the sun – not humans – that is causing climate change. Even the ice caps on Mars are melting. So tell me, how did our SUVs do that? Formerly ignorant of the nature of the earth’s climate, and having trust in popular opinion and the media, many have quickly accepted the false notion of a constant global climate. Thankfully, I’m no longer one of those people. It used to make me angry that some people denied ‘the facts’. But now I’m angry at myself, for simply accepting popular opinion and the media without learning the truth for myself. This is not to say that global warming isn’t real. In fact, global warming is real. But it is not caused by humans or carbon dioxide. I do believe in good environmental policy. We should not pollute or destroy our environment. But we should also not accept the propaganda, over-exaggerate the facts, and fail to do our own research. Did you know that only 70 years ago there was a global cooling scare, where it was declared that the world was going into an ice age? Propaganda is a valuable tool for conspirators. We need to be concerned about the people and the governments that lie to us. They are the true enemy; they are our greatest threat, for which we should be terribly concerned – not the climate. The big question is, what are the motivations behind this extraordinary hoax? Inhofe has suggested that supporters of Kyoto such as Jacques Chirac are aiming at global governance. Does the so-called ‘war on terror’ ring a bell? Not so long ago, we also ‘faced’ the propagated fears of global cooling, population explosions, West Nile virus, SARS, Avian Flu, killer bees… But all of these former ‘threats’ have either been debunked by scientists or simply forgotten. By creating a common enemy (i.e. terrorists, global warming, communism, drugs) and striking fear and hopelessness in the population, the people come to crave the ‘aid’ of their government – to save and protect them. We are expected to give-up our rights and our freedoms for the sake of ‘protection’. And when our silent, invisible, fabricated enemy shall be conquered, the people shall rejoice, be thankful, and ever-more submissive to the will of their controllers. This strategy has used by tyrannies and dictatorships throughout history. People, ignorant and distracted from reality, remain oblivious, uneducated, and under control. Don’t fear your government! Don’t investigate into the real source of your ‘threats’ and ‘enemies’. If ‘terrorists’ didn’t scare the hell out of you, surely the imaginary tidal waves, hurricanes, tornadoes, global apocalypse and Al Gore films will! Go back to your televisions and video games – you’re expected to have the government be your guardian. Indeed, the global warming scare has the detrimental effect on poorer nations, whereby wealthy societies may claim, “Do not develop, burn oil or coal, drive cars, create industry, or any other means of energy consumption – because if you do you will only bring us closer to our demise.” But why wouldn’t our puppet-masters want these countries to grow? A weaker nation is a controllable, vulnerable nation. The creation of a giant industry has resulted in major climate-chaos profiteering. Surprisingly similar to the drug-war, it has already come to the point where to expose the truth will produce strong opposition by the people who’s jobs depend on it. In some cases, scientists critical of the global warming theory have been denied funding. Likewise, there are cases where hundreds of climate scientists have twisted their results to support the ‘climate change theory’ in order to protect their research funding. All this to embrace and adhere to a consensus of global disaster. Why? Because under this guise, government spending can now far more easily be granted, acceptably, due to a belief that we ‘need’ to do all we can to defeat the invisible enemy. Many are willing to pay the government to take care of their problems. Under the guise of this threat, governments and ‘protocols’ will certainly be used as an excuse to increase the taxes on carbon emissions. The ‘carbon tax’ will generate massive global revenues with which to fund the further establishment of the new world order, while making the people and the economy weaker. The United Nations, Kyoto Protocol, and other systems have been devised to support the growth of global governance. Like the so-called ‘war on terror’, the enemy of climate change gives the appearance of a threat great enough to excuse political policies and practices claiming to work against it. Also, it is an effective means of drawing support for the politicians. Furthermore, climate chaos has been used to pass bills and acts designed to combat the situation, while at the same time promoting hidden agendas. Are people willing to pay more for oil and gasoline, believing high prices are justified to help reduce consumption? The ultimate objective of the powerful elite who control the government, media, and society is to manipulate people and their governments into the formation of a border-less, world government. The complexities of this situation certainly exceed the obvious, and there are surely many other advantages the Bilderberg group and other elites are exploiting from this extraordinary hoax. On March 13th, 2008, The House Intergovernmental Affairs Committee plans public hearings on Real ID in PA.
AFTF, NVCCA, and our local meetup Ron Paul Revolution: Pittsburgh Area Freedom Activists will be sponsoring an anti-Real ID rally and press conference at these hearings. WE THE PEOPLE must show up in huge numbers and make our opposition to Real ID clear. 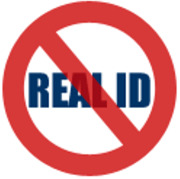 Don’t forget about the Anti-Real ID Rally on Thursday, March 13th from 10AM-Noon. If you feel strongly that we do not need a national ID Card and want the PA legislature to pass the bill that would ban it in this state, this is your chance to get them to do that! Representatives from the state government will be there and we must give them an up close and personal view of the opposition against Real ID.